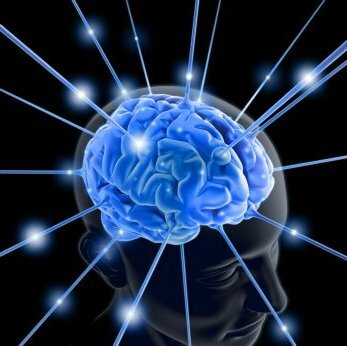 A direct interface from your brain to your computer, and to the world! It is an independent research project aimed at developing an alternative input device based on BCI (Brain Control Interface): the intended user is everyone unable to move, for permanent or temporary impairment. The solution is intended to be low cost and based on Open Software. Presentation at a Seminar for the "Informatica Medica" course - University of Padova March, 21st, 2013. I have been working on this project as an independent researcher, in collaboration with Dipartimento di Salute della Donna e del Bambino - Università degli Studi di Padova (Department of pediatrics - University of Padova). The main project page is VOCA.TIO. I was involved in this project in the data acquisition and elaboration software, on Linux and Android platform. The technical details of my work are included on in PDF. Some theory about eye-tracking: http://en.wikipedia.org/wiki/Eye_tracking: mainly the tracking can be accomplished by the recognition of the pupil movement (video analysis), or recognition of the movement of the eye bulb via EOG (ElectroOculoGram). http://thirtysixthspan.com/openEyes/ a GPL program for eye tracking using various types of hardware: the idea is to track the movement of the eye's pupil: the effect is that the mouse pointer follows the point we look at in the monitor. http://robotica.udl.es/ Freeware program, for Windows, to control the mouse with head movement: the manual page is here. The only needed hardware is a webcam, which points the user head. The software identifys the head movement - left/right - up/down - so to control the mouse pointer. http://www.gazegroup.org/Opengaze: eye-tracking using any camera equipped with infrared nightvision: an open-source project. http://www.imotionsglobal.com/attention-tool-software/ and http://www.cogain.org/wiki/Eye_Trackers give other information.